Opting for a luxury SUV doesn’t mean you have to compromise utility. The Mercedes-Benz GLC utility features are proof that you can do it all in Johns Creek. Suspensions: The standard 4-wheel multilink suspension features selective damping, making for a smooth ride over bumps and rugged roads. DYNAMIC SELECT: Adapt your driving mode with four modes to choose – ECO, Comfort, Sport, and Sport+ – to adjust throttle response, shift points, steering effort, and more. Trailer Hitch: When you install the optional trailer hitch, your Mercedes-Benz GLC will be able to tow up to 3,500 pounds. Trailer Stability Assist: Keep trailer sway under control with this standard feature. 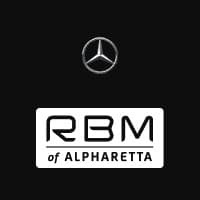 Browse all our new SUV inventory, then schedule a test drive at RBM of Alpharetta to experience Mercedes-Benz GLC utility for yourself. Want to see how the GLC utility compares to competitors like the Lexus RX or even in-brand competitors like the GLE? Our team is here to help guide you through specs and our finance department will be at the ready to set up your lease or loan!